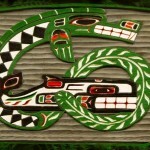 Bordered by the Strait of Juan de Fuca and the Pacific Ocean, pre-contact Makah Tribe held a vast area of inland and coastal territory. These richly forested lands and the seas which teemed with life offered early Makah a wealth of natural resources. The Makah skillfully utilized the bounty of the sea. From seals to salmon to whales, the sea was – and still is – a large part of the livelihood of the Makah. Makah lands also encompassed the islands of Waadah, Tatoosh, Ozette, Cannon Ball, the Bodeltas and the islands on Lake Ozette. Their inland holdings were equally vast and reached as far east as Lyre River and as far south as the lands they shared with the Quileute. Within this territory, the Makah had many summer and permanent villages. The five permanent villages, Waatch, Sooes, Deah, Ozette and Bahaada, were located along the shore of the northwestern-most point of the continental United States. In the early 1800s these villages were home to between two thousand and four thousand Makah. 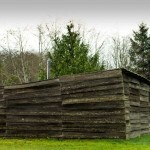 Each village contained several longhouses composed of cedar planks and measured approximately 30 feet wide and 70 feet long. 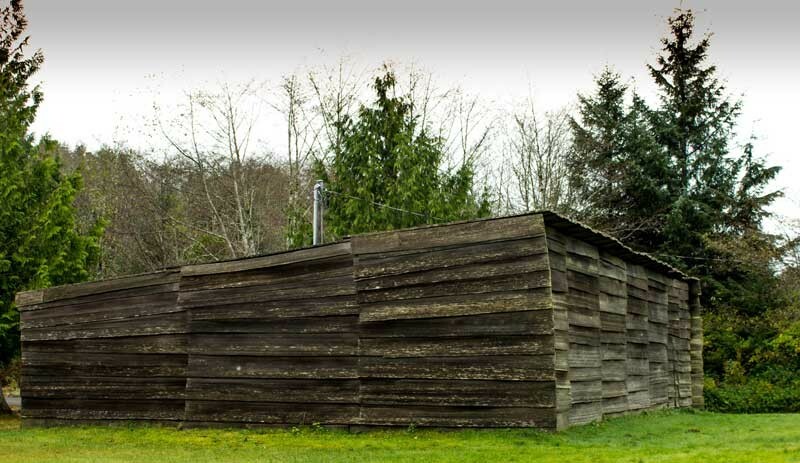 The Makah and their extended families would share these structures and it was common to have several generations living in each one. During the summer people traveled to various summer camps, such as Kidickabit, Archawat, Hoko, Tatoosh Island, Ozette River and Ozette Lake. These summer camps were closer to the traditional fishing, whaling and gathering areas of the Makah. The early Makah had a keen understanding of their environment and a great respect for the plants and animals which sustained them through the cold, dark and stormy coastal winters. As people acclimated to the seasons, they knew when and where to hunt and gather food and materials in balance with their lifecycles. They observed the common indigenous cultural tradition of using nearly all they took from the land and sea. 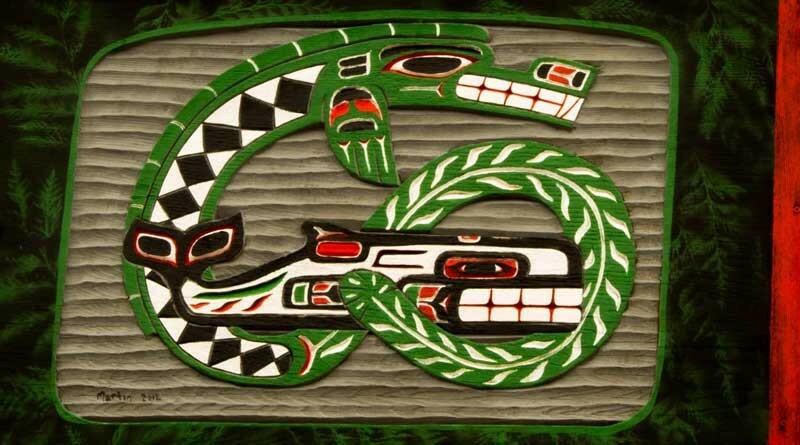 The Makah were highly skilled mariners, using sophisticated navigational and maritime skills, they were able to travel the rough waters of the Pacific Ocean and the swift waters of the Strait of Juan de Fuca with relative ease. They used various types of canoes. 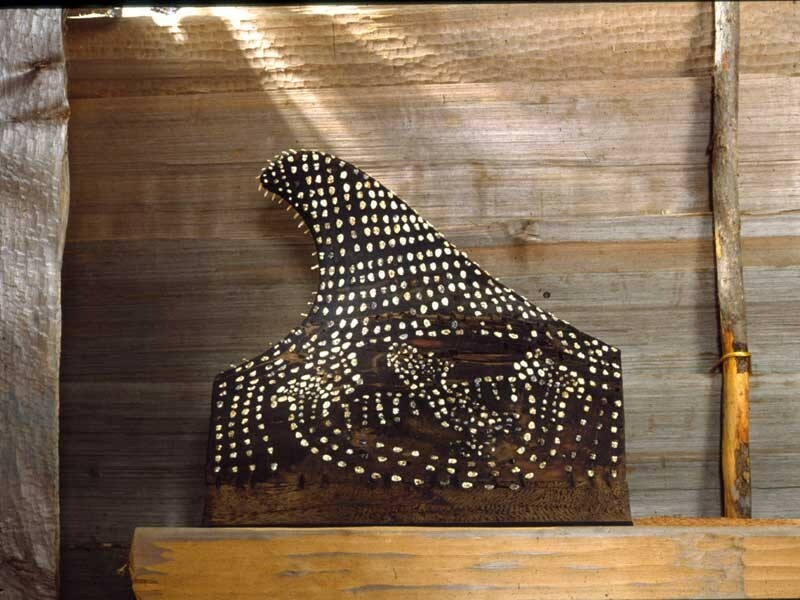 Carved from western red cedar, there were canoes used for a myriad of purposes, each one specifically created for that task. There were war, whaling, halibut, salmon fishing, sealing canoes and large cargo canoes. There were even smaller canoes which children used for practice. The canoes had sails so that paddlers could use the wind to their advantage. When they landed, it was done stern first so that, if necessary, the paddlers could make a quick exit. The canoes and their contents were never disturbed as the Makah were taught from an early age to respect the belongings of others. The Makah were tireless paddlers and traveled great distances to obtain food or trade their wealth. 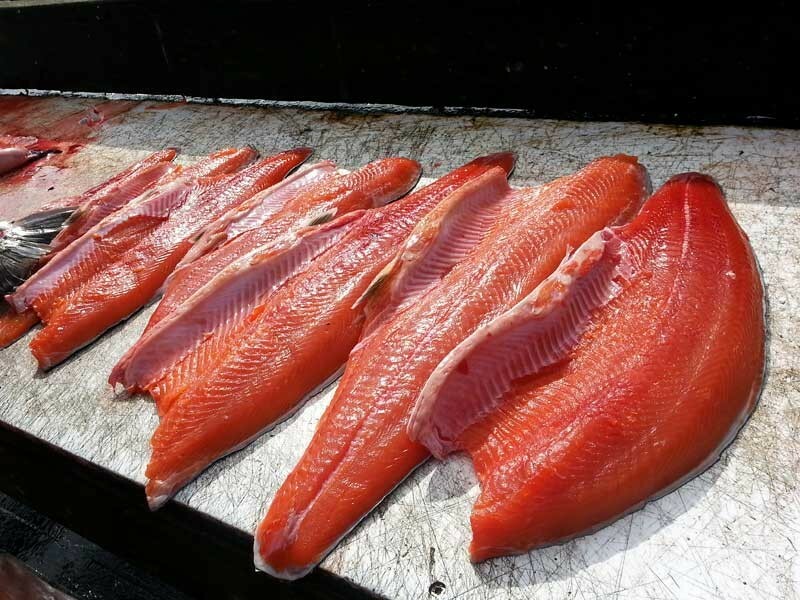 Various fish and marine mammals served as staple foods in the early Makah diet and remain so even today. Halibut were caught, dried or smoked and stored in large quantities to be used in the winter. 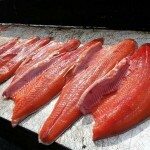 There were varieties of bottom fish caught year round. Porpoise and harbor seals were eaten fresh or smoked and their skins were cured and used for whaling floats. Seal blubber was rendered into oil which was consumed as a condiment at every meal. Sea otters were a valuable item used for trade. The sea otter has the thickest, densest fur of any mammals and in the 1700s their skins could earn the seller enough to purchase a schooner. The otter’s skin was also used as a chafe guard to be worn under cedar clothing. 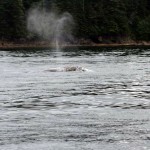 The tradition of whaling is a source of great pride among the Makah. Whales were hunted for their meat and blubber, and nearly every part of the whale was designated for use. 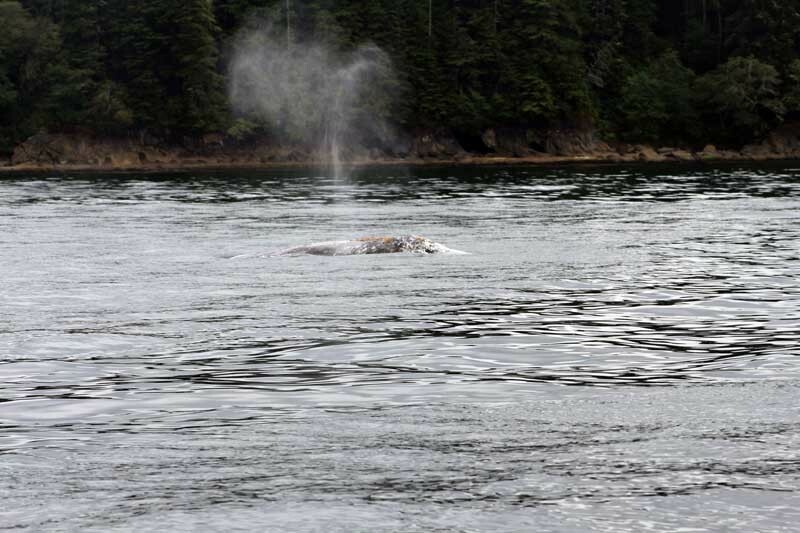 Humpback, right, sperm, gray, fin and blue whales were among the species traditionally hunted by the Makah. 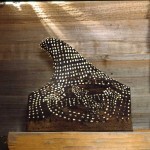 Oil rendered from the whale’s blubber was a valuable commodity, earning whaling families great wealth. The bones of the whale were useful for making combs, spindle whorls, war clubs, bark pounders, shredders and personal adornments. By the late 1700s, indirect contact with Europeans had a devastating effect on the lives of Makah people. Thousands of tribal members died from epidemics of smallpox, tuberculosis, influenza and whooping cough, thus leaving large gaps in families. The unexplained loss of their family members caused the Makah unfathomable grief, confusion and fear. Due to this, the transfer of traditional knowledge was disrupted causing many of the old ways to be lost. Successive outbreaks of smallpox reduced the southernmost villages in 1852, striking just before the signing of the Treaty of Neah Bay. On January 31, 1855, the Makah villagers, represented by 42 Makah dignitaries negotiated and signed a treaty between the United States and the Makah Indians. The negotiations between Gov. Isaac Stevens and the Tribal representatives were held at Neah Bay in the Chinook language with an English interpreter present. The Makah tribal forefathers knew it was up to them to protect their peoples’ whaling, sealing, fishing and village land rights from elimination. Certain rights were specifically outlined in articles in the Treaty to insure that the importance of continuing these traditional practices was clearly understood by both the United States government and future generations of Makah. In order to retain whaling rights, and to protect the health, education and welfare of their people, the Makah ceded title to 300,000 acres of tribal land to the U.S. In 1859 Congress ratified the treaty, ushering in the beginning of radical cultural changes imposed on the Makah by the federal government and those who implemented them. Representatives of the U.S. Government such as Indian agents, missionaries and school teachers sought to assimilate the Makah through the implementation of laws against potlatches, ceremonies and the Makah language. Their continued resistance against completely conforming to Euro-American standard is evident today in the Makah peoples’ continuance of their ancient culture.